Proudly homosexual billionaire Peter Thiel was a featured speaker at the Republican Convention this past week. Thiel had the audacity to say that he is proud to be homosexual. (shades of Sodom and Gomorrah?) Thiel also had the audacity to instruct the Republican Party to avoid culture wars. This of course is code for: ignore the evangelical Christian’s efforts to keep the Republican Party Christian-friendly. 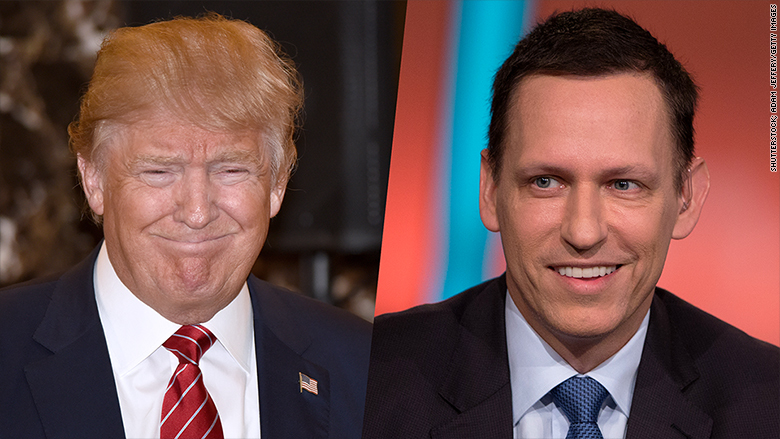 The Trump family cheered Peter Thiel for his words. Obviously Donald Trump is responsible for Peter Theil speaking at the Republican Convention. This is a manifestation of what is in Trump’s heart. By this act, Trump condones homosexuality. Hillary Clinton is even worse than this. May Almighty God have mercy on America. It is time for repentance.